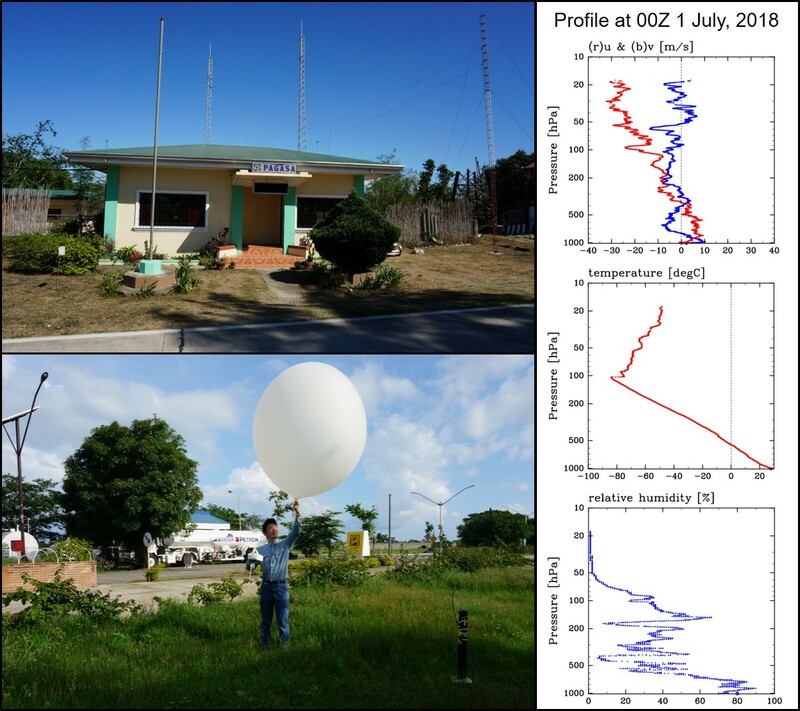 The success of special sonde observations at EAR! We finished observations using special sondes yesterday. We appreciate cooperations by staffs at EAR, Bandung, BMKG GAW, and students of Padang university. The photos are group photographs and Mie Goren Turret Special (tk). After 2 weeks off from Bengkulu, I came back here again for continuing the radar and balloon observation. The situation was slightly changed from last month, it was dry and less rainfall last month but when I came here three days ago, the condition much more humid, cloudy, even rain like today. We just have rain with strong wind around 11 AM today. During the observation at BMKG Fatmawati, young observer come here to study about rawinsonde launching, they are university students from Bengkulu University. One of the BMKG Staff teach them how to operate the system and launch the balloon, they look happy, enthusiasm, and eager to learn. They may become new scientist in the future! (Credit photos by Dr. Wu). RS. Indonesian colleagues from BPPT and BMKG visited the R/V Mirai at Jakarta port today. 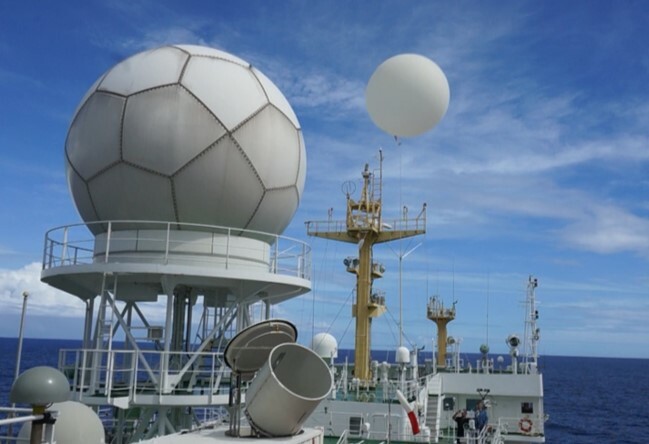 The chief scientist, Dr. Satoru YOKOI, expressed our deep appreciation for their great support and emphasized the importance of continuous cooperation for the air-sea interaction observations. 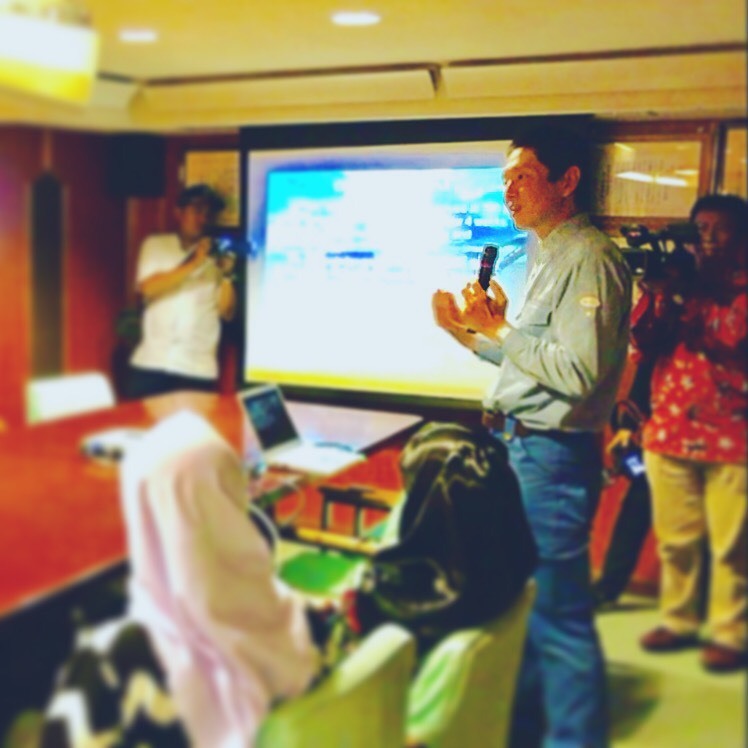 Indonesian colleagues made a tour of the vessel’s equipments and fruitful discussion with us. Again, thank you very much for your cooperation.